True ornamentals the Booted Bantam has over twenty different plumages. 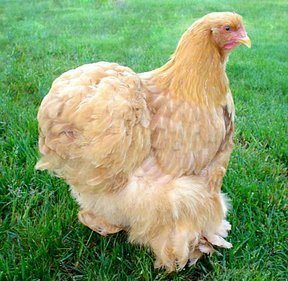 To the consternation of true bantam owners, the poultry world uses the word “bantam” to describe the miniaturized version of a standard breed. The Booted Bantam has and always will have but one size—small. In recently years the breed has gained popularity as a pet as it combines the exotic and domestic in one animal. Small, easily tamed, hardy, and friendly they make good pets. Booted Bantam owners describe their pets as friendly, easily tamed, and easily handled. Booted Bantams like to forage in the garden for bugs and seed and do so without the damaging plants and soil as would other breeds. The hens brood a couple times a year. They make good mothers. Booted Bantams bear both individual and corporate confinement well. Small, clean, and entertaining they have all the qualifications for a good pet and show animal for enthusiasts. The Booted Bantam has a single comb with five point, red wattles, and matching earlobes. Boasting more than twenty plumages, they steal the show in exhibition. The most widely recognized variations include: Barred, Black, Blue, Buff, Cuckoo, Columbia, Gray, Golden Neck, Mille Fleur, Lemon Mille Fleur, Silver Mille Fleur Mottled, Partridge, Lavender, Porcelain, Blue, and White. The Booted Bantam has a compact body with long wings that follow the angle and contour of the feathered vulture hocks. An upright stance with a full and matching upright tail gives the Booted Bantam a very jaunty appearance. They look good, and often look like they know it. The Booted Bantam needs only a few square yards of run and a comfortable dry coop. They have tropical origins and will need indoor treatment and heat during cold months. During the summer, Booted Bantams like to luxuriate in a dust bath. 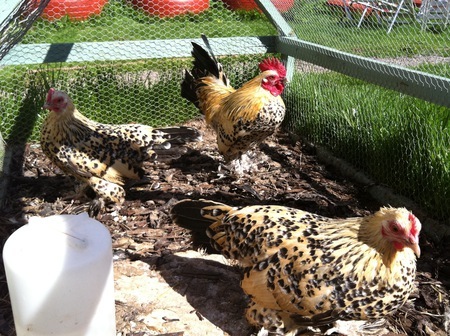 Move the coop and run monthly to curb the spread of parasites in the soil. Most pet stores now carry quality Bantam feed. Make sure they have clean water at all times. Show Bantams will require more attention than the Booted Bantam pet. Serious exhibitors keep show fowl confined on soft bedding to protect the long, hock feathers from damage. As in most breeds a fair amount of mystery surrounds the exact origins of the Booted Bantam. Some breed historians trace their beginnings to the 1800’s and Belgium. Other historians cite Dutch documents that refer to small ornamentals with fully feathered hocks clear back in the 1600’s. 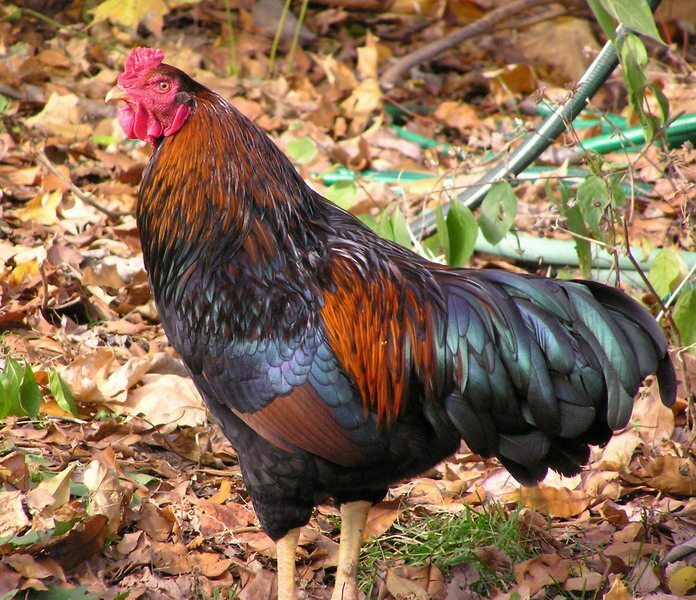 In any case, all Bantams have tropical origins most likely from the jungles of Java. 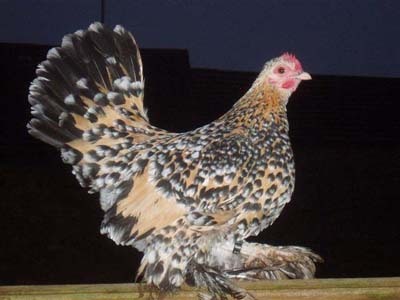 Breeders crossed Javaian fowl with stock from the Netherlands to produce this striking domestic exotic. Its popularity started high and has continued to grow through centuries of breeding in Europe. In the early twentieth century the Booted Bantam made its way from Germany to North America. The American Poultry Association officially recognized them in 1914.